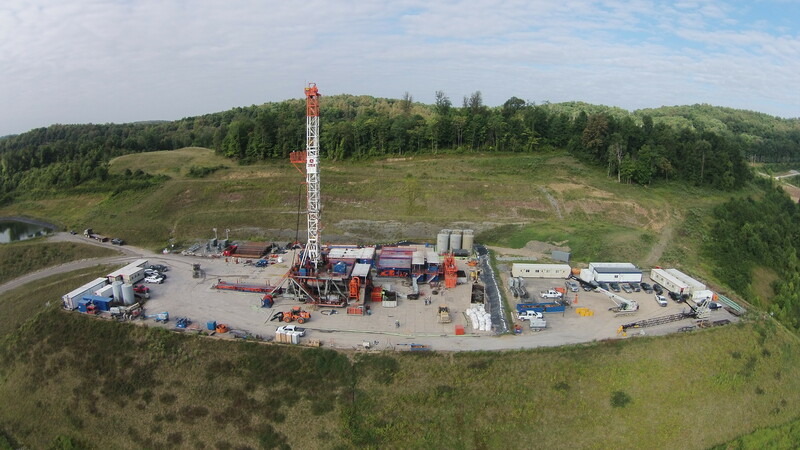 The objective of the Marcellus Shale Energy and Environment Laboratory (MSEEL) is to provide a long-term field site to develop and validate new knowledge and technology to improve recovery efficiency and minimize environmental implications of unconventional resource development. 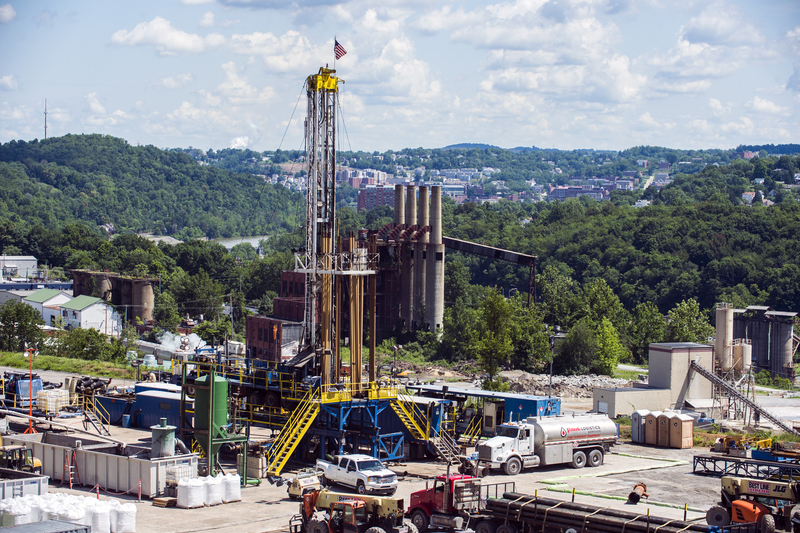 Could deep-Earth microbes help us frack for oil? 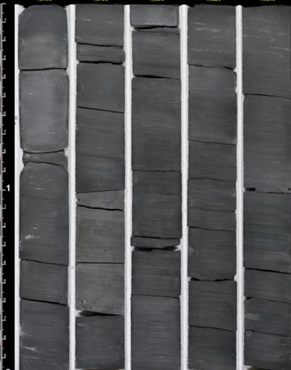 Researchers are searching for life deep in the shale rock. The microbes have the potential to improve oil and gas drilling; life in shale would need to survive incredible pressure, searing heat. 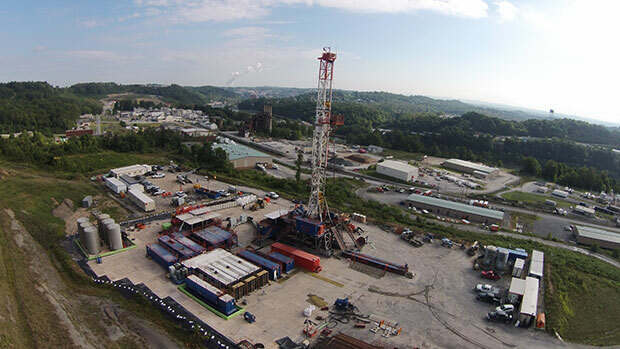 WBOY 12 reports that a USGS report has found little fracking pollution in the Monongahela River. More details at the link. 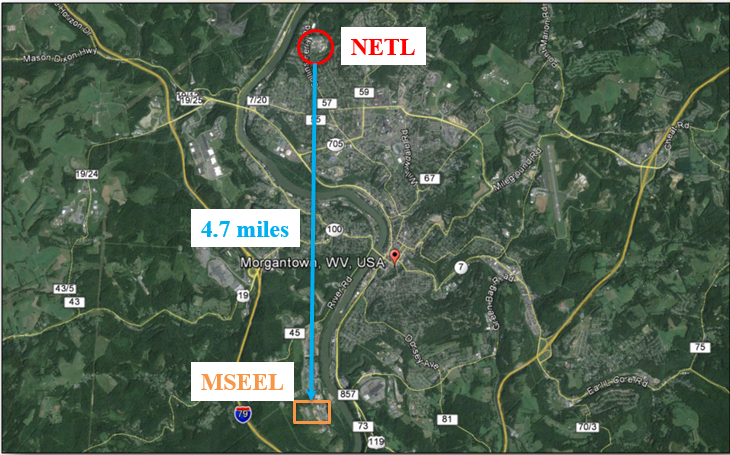 The Department of Energy’s National Energy Technology Laboratory (NETL) and its partners, West Virginia University (WVU), Northeast Natural Energy (NNE), and The Ohio State University, are moving forward on a project to monitor the process and progress of unconventional gas production at a Marcellus Shale well near Morgantown, WV. Our work has to potential to impact the lives of everyone from citizen to scientist. Here we can keep the public abreast of important information about which the public needs to be aware. 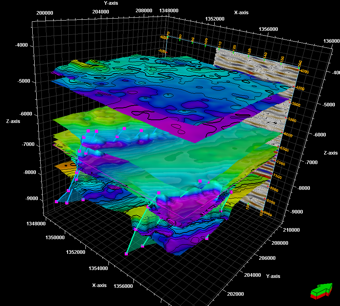 3D block model showing science and production wells at MSEEL site. 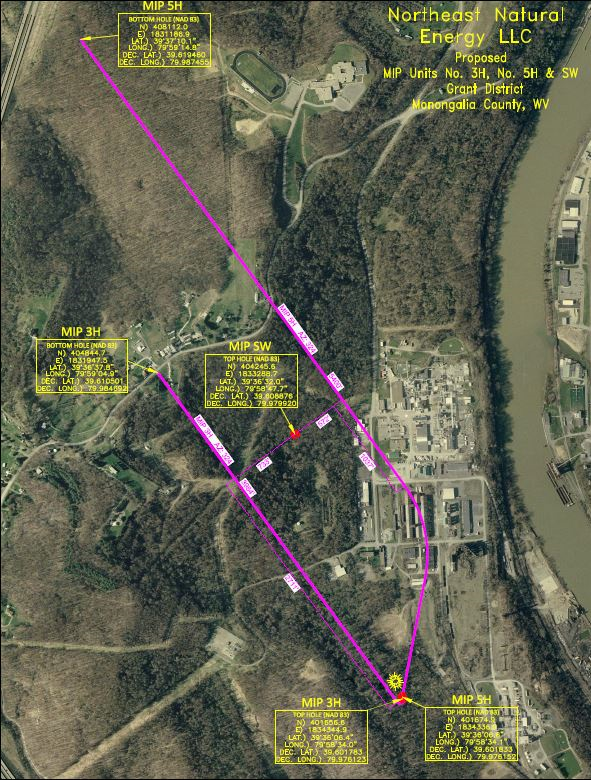 First ground water contact is at ~ 450 ft and Marcellus shale at ~ 7576 ft. 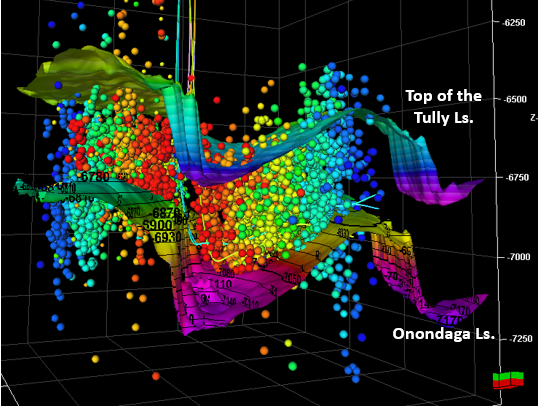 Depth of Marcellus shale has been compared to the height of Empire state building (1454 ft). Note that depth is true vertical depth but thicknesses of individual formations is exaggerated. Click and drag left or right make the image below spin. MSEEL site model shows the paths of the existing wells (yellow), new wells (red) and observation well (green) in relation to surface features and the bottom of the fresh water limit. The average fresh water depth is ~450 ft beneath the surface. 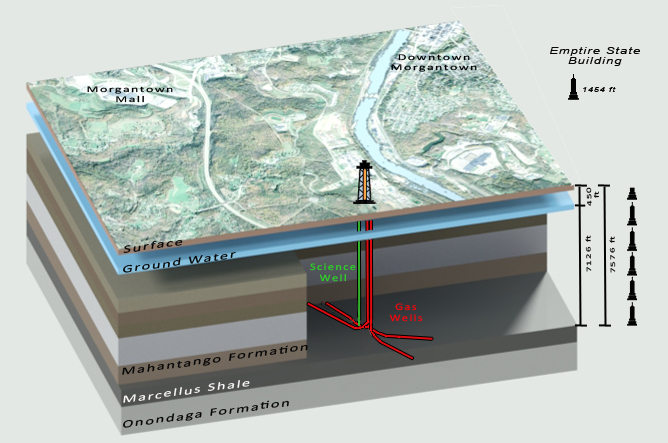 The depth of the Marcellus shale at 1.4 miles beneath the surface. The objective of the MSEEL project is to gain a better understanding of the unconventional shale reservoirs through advanced reservoir characterization and monitoring of horizontal wells. 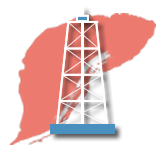 Research will also focus on societal and envrionmental impacts of shale gas development. Research will evaluate molecular, isotopic, geochemical, microbial, noble gas and physical characterization of core, fluids and gases. 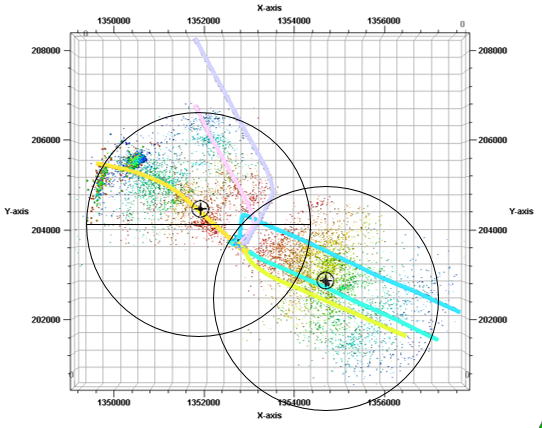 Research will evaluate relation of production to microseismic event distribution. Characterize temporal changes in liquid and solid wastes, air light and noise. Identify exposure pathways. 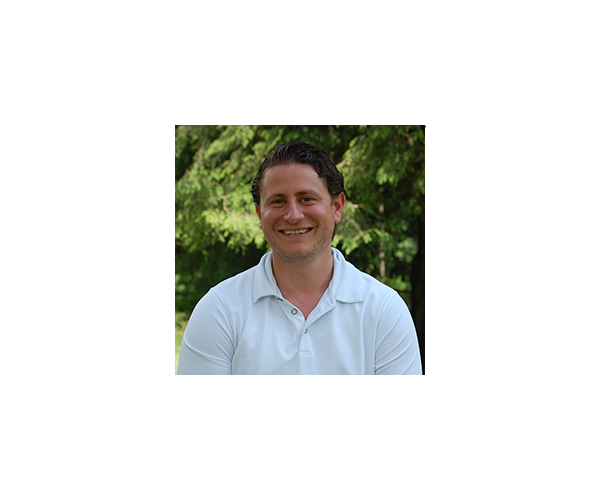 Develop protective management and treatment strategies. 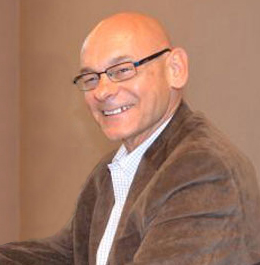 Research will evaluate governmental economic and societal impacts. Images display the varied research work being done by MSEEL research team. The MSEEL site will provide a well-documented baseline of reservoir and environmental characterization. 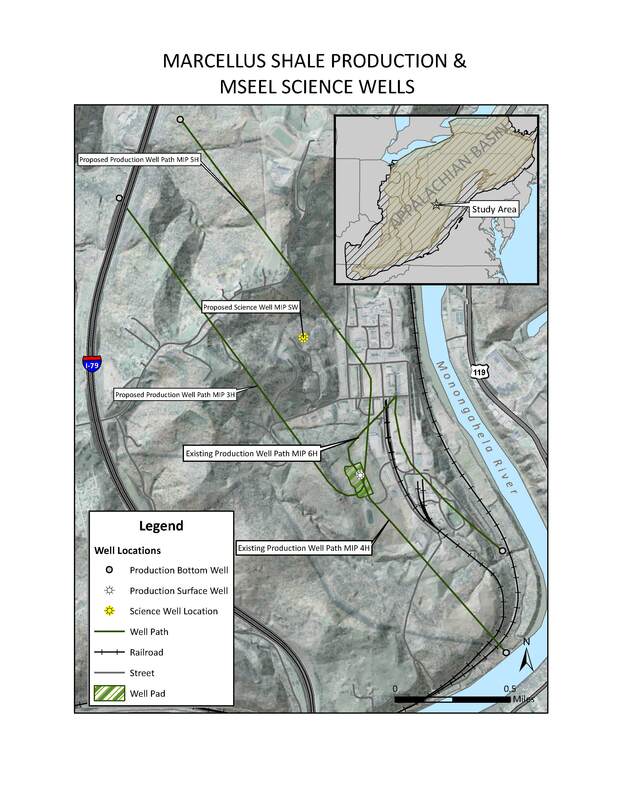 Access to multiple Marcellus wells separated by sufficient time to analyze data will allow for the collection of samples and data, and the testing and demonstration of advanced technologies. The project’s phased approach allows for flexibility to identify and incorporate new, cost-effective technology and science focused on increasing recovery efficiency, while reducing environmental and societal impacts. 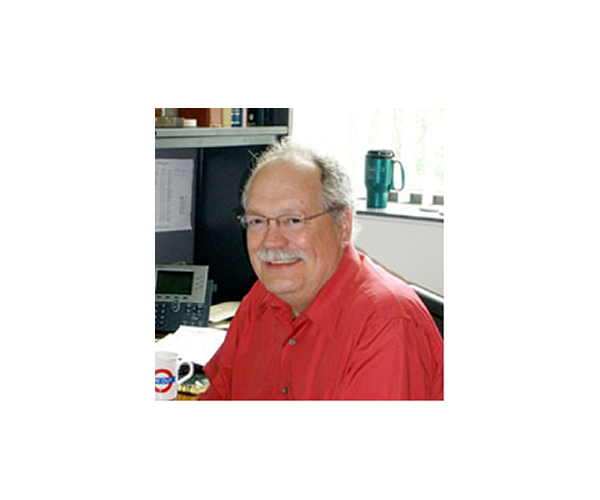 MSEEL research team is a collaborative and works overview team from West Virginia University, Ohio State University and the Department of Energy.